When you’re selling your airplane, the more buyers that see it, the more likely you are to sell it quickly and for the best possible price. Selling your aircraft on the international market simply makes sense – a larger market equals more opportunity. There has been exceptional growth in business aviation outside of the United States in recent years. When you put those two facts together, it makes sense to work with a broker who can accurately market and potentially sell your aircraft to any qualified buyer in the world. Has experience with international sales and understands how the process works in the country the buyer is in. Is able to evaluate the available options and give you the best advice about the details of the transaction. A broker who doesn’t have this experience can expose you (the seller or buyer) to unnecessary delays and potential legal and financial risks. There are two major processes that have to take place If you sell an aircraft to a buyer in another country. First, you have to export the aircraft from the country of the registration by performing an Export Certificate of Airworthiness. . Second, you will have to perform an Import Certificate of Airworthiness into the new country of registration by conforming the aircraft to the local aviation authorities regulations and requirements. The rules are not the same in every country. In recent years there have been some regulatory changes made which affect aircraft that have been previously registered in the U.S. The changes allow an aircraft that has been sold overseas, but previously registered in the U.S., not to be required to undergo another Export Certificate of Airworthiness (C of A). The new U.S. buyer must simply display to the FAA DAR that the aircraft is in compliance and has the required inspections for the Import Certificate of Airworthiness. If you sell an U.S. aircraft into a foreign country, an Export C of A may be required, which would entail additional inspections. Different controlling government bodies have various requirements, for example, in Switzerland it’s the Federal Office of Civil Aviation (FOCA); however, the European Aviation Safety Administration (EASA) governs the majority of Europe. When we represent a U.S. seller with a foreign buyer, we are very careful with the language of the agreements for many reasons; one of which is to be very explicit about which party is responsible for costs associated with ensuring the aircraft conforms to the legal requirements of the buyer’s country’s governing authority. Besides the government agencies and their procedures, there are other risks. Once a U.S. seller has filed the de-registration request and/or delivers a bill of sale, he is no longer the owner of the aircraft, yet the closing will not have occurred and the seller will not be paid until confirmation from the foreign local registry is issued. Given time differences between countries, the de-registration request and the acknowledgment of the re-registration documentation approval by the foreign local registry may actually occur on different business days. There is also a risk that the buyer may default on the contract after the de-registration and Export C of A have been accomplished; yet the seller will not have been paid. From a U.S. seller’s perspective, the only thing that the U.S. seller should do is agree to file the de-registration request or bill of sale concurrent with being paid. One of our specialties is the generation of such agreements that cover the risks of the seller. As you can see, it is very important that all parties in these negotiations are experienced and knowledgeable. Dallas Jet International (DJI) has experience with international transactions in many countries and circumstances. 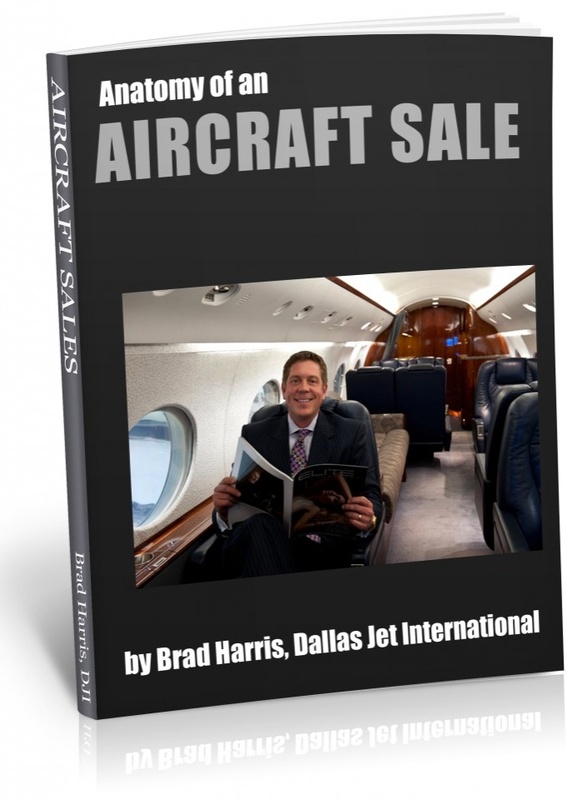 Dallas Jet International personally oversees every aspect of each transaction. We have a network of trusted inspection facilities and legal and tax professionals throughout the world. Question- Is it worth it to sell your airplane on the worldwide market? Answer – We suggest that you are missing out on a large number of potential buyers and a large amount of capital in foreign markets if you restrict your aircraft sales efforts to the U.S.
We also suggest that you select a broker that can represent your interests and protect you from the potential risks involved in these complex transactions.